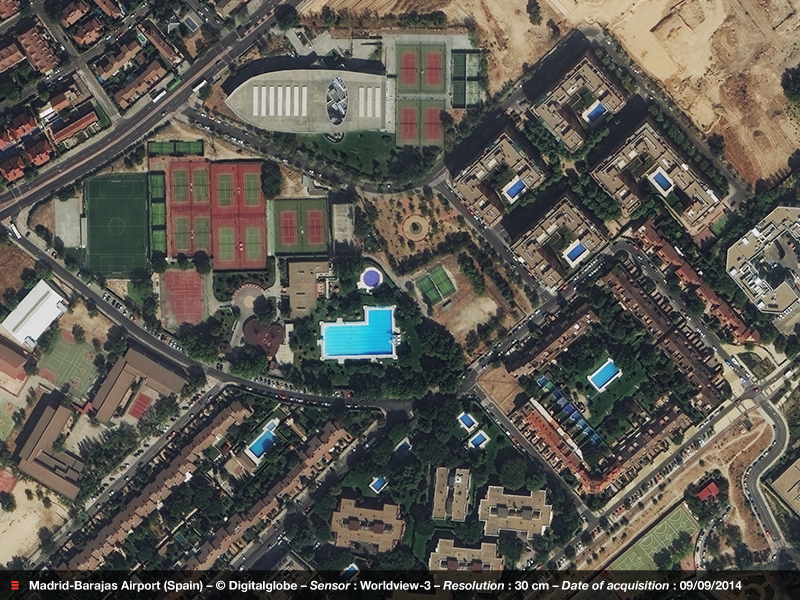 Effigis distributes a full range of satellite images at a variety of resolutions to address different needs. The table below lists the technical features of the main commercial Earth Observation satellites and shows you a selection of sample images. Click on the link below to download the document Earth From All Angles that details the features of the main commercial Earth Observation satellites. Features: 16 XS include 8 new SWIR bands (shortwave infrared) at 3.7 m. 12 additional bands: CAVIS **** at 30 m.
Image: Madrid-Barajas Airport, Spain - © Digitalglobe – Sensor : Worldview-3 – 30 cm, 09/09/2014. Features: Constellation of 2 satellites, stereo triplets available. 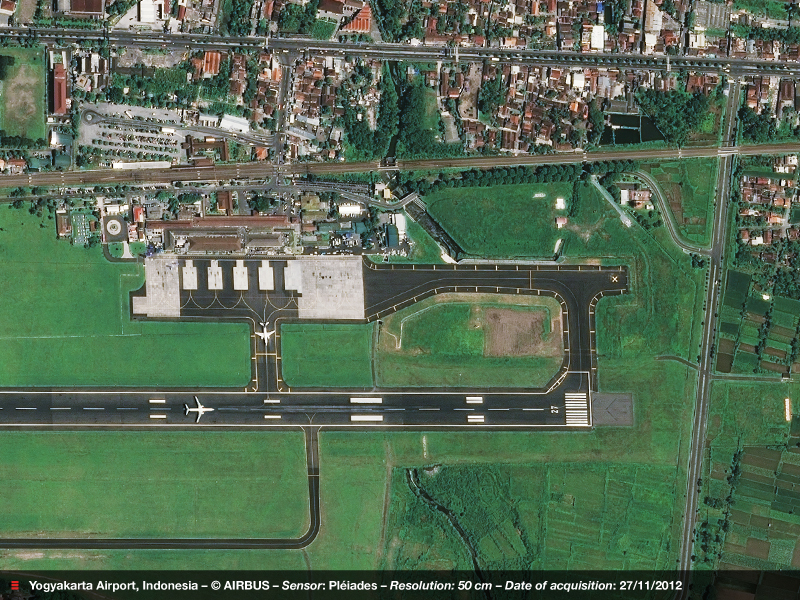 Image: Yogyakarta Airport, Indonesia - © AIRBUS – Sensor: Pléiades – 50 cm, 27/11/2012. 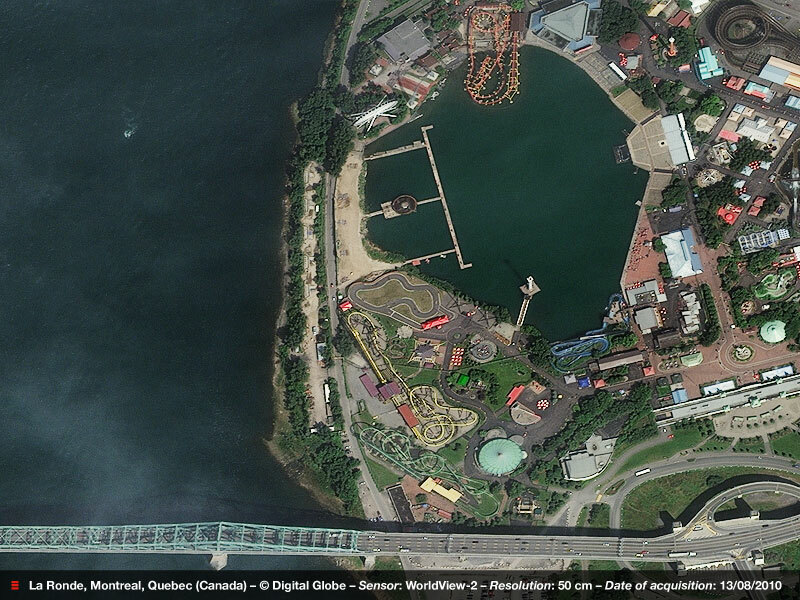 Image: La Ronde, Montreal, Quebec (Canada) - © Digital Globe – Sensor: Worldview-2 – 50 cm, 13/08/2010. 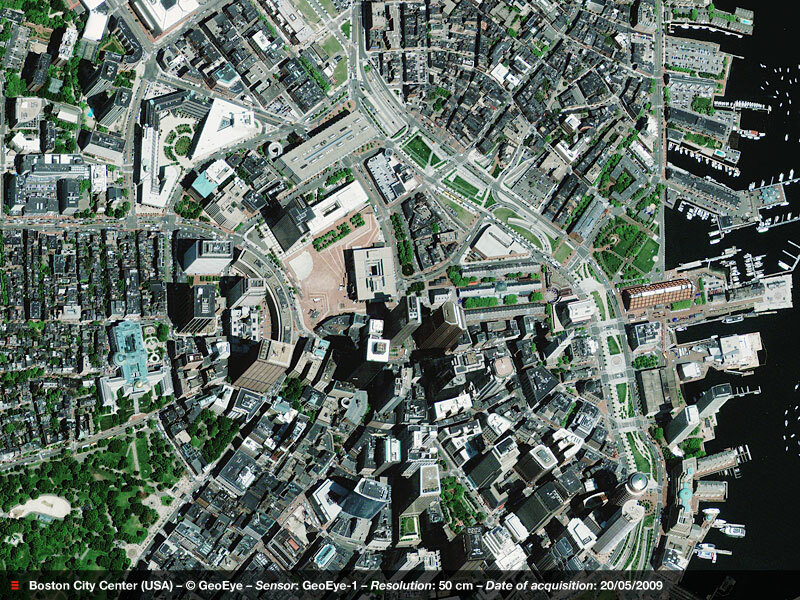 Image: Boston City Center, United States - © GeoEye – Sensor: GeoEye-1 – 50 cm, 20/05/2009. 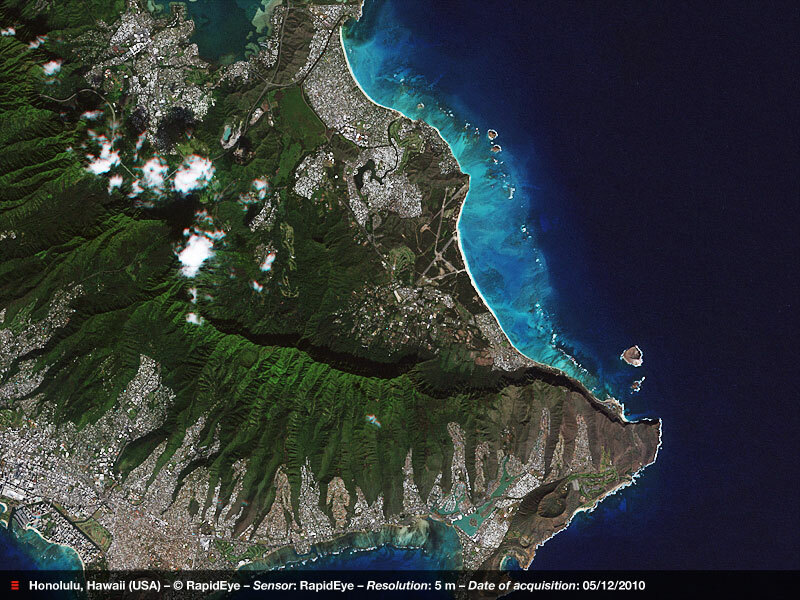 Image: Honolulu, Hawaii, United States - © RapidEye – Sensor: RapidEye – 5 m, 05/12/2010.